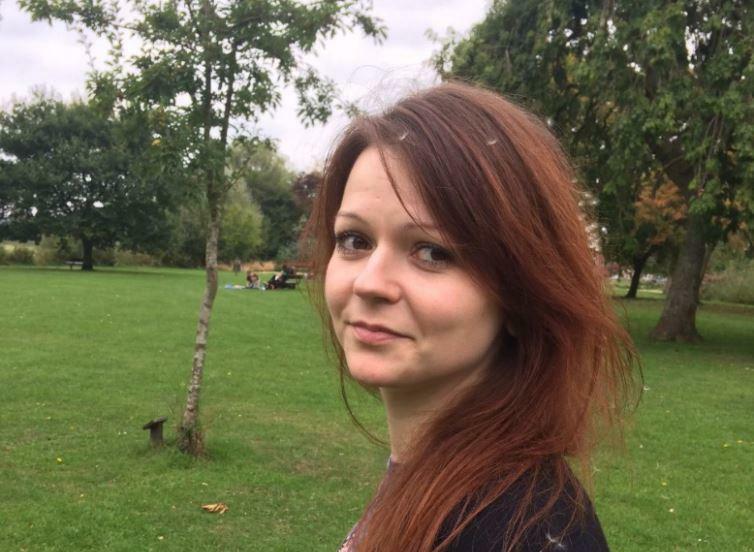 LONDON -- Yulia Skripal, who was poisoned with her ex-spy father in a nerve agent attack, said Wednesday that they're lucky to be alive and recovery has been slow and painful, in her first public statement since the poisoning. Skripal, 33, and her 66-year-old father Sergei spent weeks hospitalized in critical condition after they were found unconscious in the English city of Salisbury on March 4. Britain blames Russia for poisoning them with a military-grade nerve agent -- a charge Russia vehemently denies. The poisoning has sparked a Cold War-style diplomatic crisis between Russia and the West, including the expulsion of hundreds of diplomats from both sides. In a statement, Yulia Skripal said she and her father are "so lucky to have both survived this attempted assassination. She said their recovery had been "slow and extremely painful. Sergei Skripal is a former Russian intelligence officer who was convicted of spying for Britain before coming to the U.K. as part of a 2010 prisoner swap. He had been living quietly in the cathedral city of Salisbury, 90 miles southwest of London, when he was struck down. On Tuesday, Russian state TV interviewed a woman it claims to be Sergei Skripal's mother. Russia's Channel One on Monday showed an interview with the woman it said was Sergei Skripal's mother. The woman said she has not talked to her son since he was hospitalized and appealed for British authorities to allow Skripal to give her a call. Neither the British authorities nor the only known Skripal family member in Russia has ever mentioned that Skripal's mother was still alive.